With questions about the medical mistreatment of veterans increasingly focused on the White House, the Obama administration announced Tuesday that a key member of the president&apos;s team is heading to the epicenter of the scandal. White House Press Secretary Jay Carney said Deputy Chief of Staff Rob Nabors will travel to Phoenix on Wednesday to meet with officials at the Veterans Affairs Medical Center, including interim chief Steve Young. 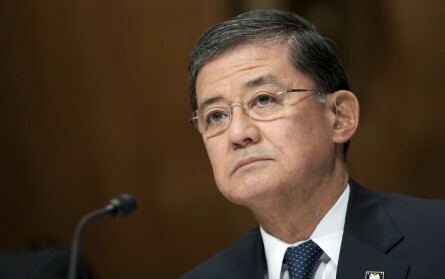 Young was appointed after embattled Secretary of Veteran Affairs Eric Shinseki put the director and two other employees on administrative leave after reports that delays in treatment at the facility may have contributed to the deaths of as many as 40 veterans. Nabors was assigned last week by President Barack Obama to oversee a review of the VA health care system, as more claims of delayed treatment and falsified wait times have turned up at facilities across the country. Tuesday&apos;s action came as tensions continue to escalate between the administration and lawmakers on Capitol Hill, where some have called on the president to fire Shinseki. Shinseki told a Senate panel last week he is "mad as hell" about the reports of phony wait times and falsified records. He&apos;s also said he won&apos;t resign. Rep. Jeff Miller, chairman of the House Committee on Veterans’ Affairs, which has issued its own subpoena for Shinseki, along with records related to the Phoenix facility, said in a statement Tuesday the VA&apos;s response has been "inadequate." “VA’s response to the committee’s subpoena is clearly inadequate and makes me suspicious that the department has something to hide," the Florida Republican said. "I am quickly getting the impression the department does not want to fully cooperate in this matter." The administration&apos;s handling of the VA scandal also came under fire from Sen. John Cornyn, R-Texas, who on Tuesday asked the president to withdraw the White House&apos;s nomination to replace the one VA official who has, to this point, lost his job over the scandal, Robert Petzel. Petzel resigned on May 16, and the White House named Jeffrey A. Murawsky to replace him as under secretary of health at the VA.
“Instead of nominating a reformer from outside the VA system who can bring fresh leadership as the next under secretary for health — a key position responsible for overseeing the VHA — you have appointed Dr. Jeffrey A. Murawsky, a career administrator whose own tenure at the VA raises serious concerns," Cornyn wrote. “From February 2010 through February 2012, Dr. Murawsky directly supervised Sharon Helman, the current director of the Phoenix VA Health Care System who has been placed on administrative leave due to similar allegations of secret wait lists and resulting veteran deaths there." The House is expected to vote in the coming days on a bill that would give the VA secretary greater authority to shakeup the bureaucracy that controls the department and its hospitals, but the White House has been slow to embrace the proposal. And the White House has rebuffed calls for Shinseki&apos;s resignation and is standing behind the Murawsky nomination. Carney told reporters the president is awaiting the results of the reviews into the dysfunction at the VA before taking a further action. "The president and the rest of us, await the results of those ... inquiries. And he is not at all pleased with some of the allegations and will be extremely unhappy if some of them prove to be true," Carney said at Tuesday&apos;s White House press briefing. "He will wait for the facts and the investigations, as we all should, and then insist that action be taken and people be held accountable," he said. "The president obviously wants both of these two inquiries to proceed efficiently and quickly, but to be comprehensive and effective. So he&apos;s not setting an arbitrary deadline." But Rep. Adam Kinzinger, R-Ill., told CQ Roll Call that Democrats on Capitol Hill are also feeling pressure to act. "I&apos;m hearing a lot of Democrats say the same thing I&apos;m saying: It&apos;s time for Shinseki to resign," Kinzinger said. "Politically," Kinzinger said of Democrats, "this isn&apos;t going to help them either. A one-year backlog&apos;s a big deal, but when you find out people are creating fake lists, that&apos;s criminal." In the Senate, Kansas Republican Jerry Moran said he plans to introduce legislation this week that would ensure all internal probes by the VA&apos;s Office of Medical Inspector are made public.